Wagner Greenhouses serves greenhouses across the country, supplying high-quality young plants from which exceptionally finished crops are grown. Young plants from Wagner's exhibit the traits most highly valued by growers: actively growing roots, compact foliage, and rapid establishment. For detailed program information and variety listings, please view our young plant programs. For at-once needs, please reference our Availability. Our dedicated broker partners, along with their knowledgeable sales staffs, work closely with us to ensure that you receive the products best suited to your needs. Please place orders through your favorite broker to ensure that you realize the benefits of these partnerships and receive the best service possible. 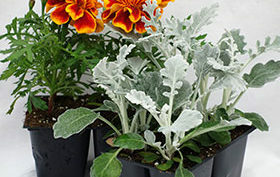 Wagner's also offers a retail-ready annuals program for independent garden centers and other garden retailers in the greater Twin Cities area. 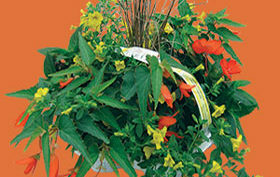 We offer a wide variety of annuals to meet the needs of your customers. We have wholesale garden supplies in Bloomington, Minneapolis, and Hugo, Minnesota. Visit the Retail Ready page to learn more. Click here to view our online retail ready availability. Additionally, Wagner's offers a custom-grown annuals program for Twin Cities area landscapers, gardeners and grounds maintenance companies. Help your spring or fall planting season get off to a great start with our 3 convenient sizes: a 36 landscaper tray, 80 mm Growcoons, or a 6" round pot. This program allows you to plan ahead, save time & money, and get the plants that you need with Wagner's Spring Landscaping Program. 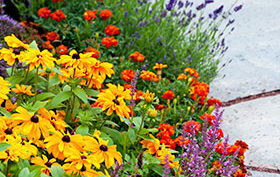 Click here to view our online landscaping availability. Many factors come together to make young plants from Wagner’s so special. We are recognized nationwide for our experience, quality and service. Wagner’s Landscaping Program is specially designed for Twin Cities area landscape professionals & property maintenance companies. Wagner’s Retail Ready Program is specially designed for independent garden centers and other garden retailers in the greater Minneapolis-St. Paul area. 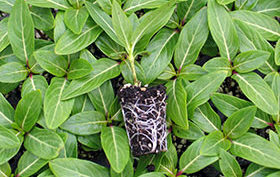 Wagner’s plant fundraisers are popular and profitable. View our many fundraisers to choose a program that fits the needs of your group or organization. Visit us in Booth #1317 at Northern Green. January 15-17 at the Minneapolis Convention Center. See you at the show!